Naoki Urasawa's career as a manga artist spans more than twenty years and has firmly established him as one of the true manga masters of Japan. Born in Tokyo in 1960, Urasawa debuted with BETA! in 1983 and hasn't stopped his impressive output since. Well-versed in a variety of genres, Urasawa's oeuvre encompasses a multitude of different subjects, such as a romantic comedy (Yawara! A Fashionable Judo Girl), a suspenseful human drama about a former mercenary Pineapple ARMY; story by Kazuya Kudo), a captivating psychological suspense story (Monster), a sci-fi adventure manga (20th Century Boys), and a modern reinterpretation of the work of the God of Manga, Osamu Tezuka (Pluto: Urasawa x Tezuka; co-authored with Takashi Nagasaki, supervised by Macoto Tezka, and with the cooperation of Tezuka Productions). 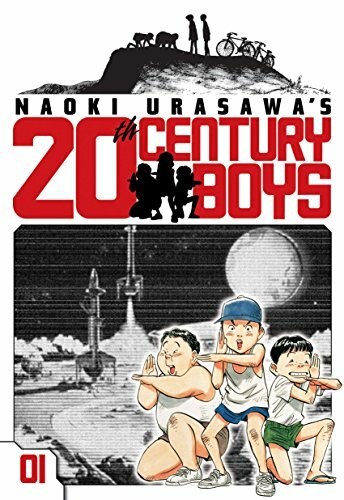 Many of his books have spawned popular animated and live-action TV programs and films, and 2008 saw the theatrical release of the first of three live-action Japanese films based on 20th Century Boys. No stranger to accolades and awards, Urasawa is a three-time recipient of the prestigious Shogakukan Manga Award, a two-time recipient of the Osamu Tezuka Cultural Prize, and has received the Kodansha Manga Award. Similarly, Monster has been nominated three times for the Eisner Award in America. Urasawa has also become involved in the world of academia, and in 2008 accepted a guest teaching post at Nagoya Zokei University, where he teaches courses in, of course, manga.